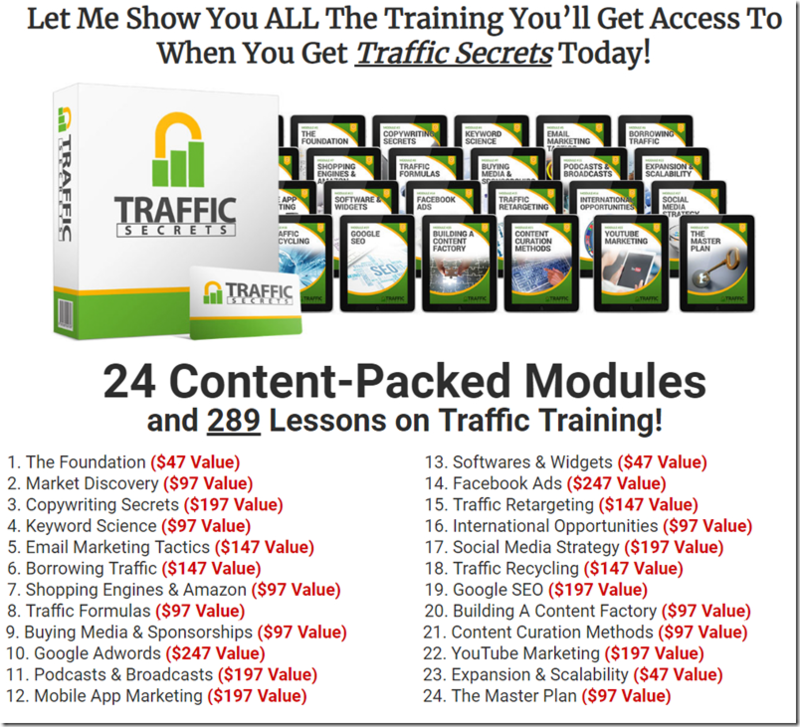 Expert’s Peek of Traffic Secrets. Module 5: Email Marketing Tactics. Module 7: Shopping Engines and Amazon. Module 9: Buying Media and Sponsorships. Module 11: Broadcasts and podcasts. Module 12: Mobile App Marketing. Module 13: Software and Widgets. Module 17: Social Media Strategies. Module 20: Building a Content Factory. Module 21: Content Curation Methods. Module 23: Expansion and Scalability.